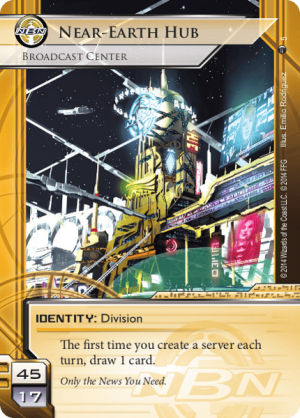 This report will deal mostly with my personal experiences with Netrunner, focusing on the Cambridge Regionals, which was my first Regional tournament. The decks I piloted are mostly derivative, and I make no claims of having a deeper understanding of the decks, or of the game. But, I feel like my experience with Netrunner, along with my mindsets prior and during the tournament might be entertaining. 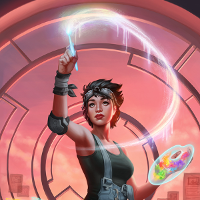 If you learn a few things along the way, I hope to see you soon at the next Netrunner event. I want to take time early to expressing my deepest gratitude to those who helped me before and during the tournament. To bblum, who helped me play test and grind games prior to the event. To kjones who also helped me play test, along with hosting me during my short stay in Boston. To Ethan who lent me his Astroscript Pilot Program when mine went missing during top cut. And lastly to all the NYC Netrunners who have all been helpful in teaching me for the nine months I’ve been playing this game. That’s right, nine months. I took a look back after the tournament to identify the moment I splurged on 3 core sets and all data packs. I had sworn off collectable card games when others had left a bad taste in my mouth, instead getting my fix from poker and video games. It would not be a stretch to call me a degenerate gambler, my craving for handling cards, dice and playing for stakes has been with me all my life. I like to crunch the numbers, but I also enjoy bluffing, playing my position and most of all playing the table. Sometimes my reads are off, but there’s no bigger rush than when the gambles pay off. Leading up to Regionals, I had very little success in tournaments. A single show on a game night kit tournament, and spectacular flops at the store championships. I seemed to have an almost endless amount of holes in my game, and only one sure thing I could fall back on. I had cycled through various Corp decks throughout the spring, hoping to learn their tricks through experience and trying to find one which could capture my heart. My runner deck on the other hand had stayed constant, Calimsha Kate. Kate hadn’t let me down, so I locked it in to bring to regionals… now it was a matter of prioritizing what parts of my game to strengthen heading to Cambridge. Lack of experience is clearly one of my biggest weaknesses, and so it became my top priority to spend my free time grinding out games in preparation. But, which Corp deck to grind? I’d always had trouble coming up with decks on my own, even in other collectable card games… so my focus then turned on netdecking. Find a tried and true formula, and begin the practice with my friend’s bblum and kjones. Soon after beginning the first of many practice games with bblum, it became apparent which corp deck I would be most comfortable with. Nothing groundbreaking here, but playing with pace and showcasing my strengths rather than compensating for the weakness in my game was the mindset I took coming into tournament. Once my decks were set, it was all about playing as many games as I could learning the different situations and board states possible, along with adjusting the decks to my particular likes. I’m a gambler, a poker player. I wanted to use these things to my advantage. My IDs would be unsurprising, but hopefully my adjustments would be. Two nights before the tournament, I picked the brain of bblum on what to expect for the tournament. He offered me some valuable information on which IDs were popular at Rochester where he had placed 2nd, allowing me to make adjustments to that as well. He also wisely advised me to pack extra sleeves, advice that would come to save me come Regionals. That’s right, 46 no Clot. Femme and Utopia are the choices to use with the space influence. I’m expecting a heavy dose of Butchershop and RP, so these cards seem to be the obvious choice. For Astrobiotics, I rely on SMC and relentless aggression. Dig hard for SMC and slap it down credit or no credit. I sell out on the clot, face checking and never popping the SMC. That and some gamesmanship. #slotheclot, #slottheclot, #slottheclot. Butchershop, with extra ETR. Again, nothing surprising here. I’ve chosen to spend influence on Eli expecting a high number of anarchs, which paid big dividends. Enigma slotted in for gear check in case I need to rush out agendas when the runner has me out econ’d. Both additions pulled their weight and my only regret was not putting in more ETR. A ‘mirror match’ my first round, I play corp first and land a scorch kill as my opponent did not draw to 4 cards, allowing me to fast advance a Breaking News off of SanSan before landing a scorch. I feel good going playing against Butchershop, but unfortunately don’t draw into economy and despite a few odd agenda choices (TGTBT, Chronos), he install advances a breaking news I don’t have the economy to steal, and he scorches me out. Corp first again, and this time it’s a very standard meat grinder game. Economy is down in full force, and without money my opponent cannot pressure. With the pieces in hand, I put down agendas to bait before midseason double scorch for the win. Kate makes up for the last game by going nuts on economy, and I pay through two punitives to keep myself unscathed, before winning through stealing three The Cleaners. I’m real lucky in rolling Corp first, which means the games are fast and I have plenty of time to spare. This time however, Kit has Opus Economy going turn 1. So, time to switch strategies. No SMC means no fear of Clot, and I ride the astrotrain to a score victory, my only agenda victory of the day. Unfortunately, Kate gets put through the grinder again. This time I have Utopia on the board and I fire it for a 50/50 chance of hitting a scorch to stay alive. I whiff. I’m steamed from the 50/50 whiff, along with the fact that now Kate was letting me down. With my record, I know that my strength of schedule is not going to be good and I start thinking about my outs. Where do I think the cutoff for Top Cut will be? This is the same mentality I have to use when playing my decks. What the outs I have to win, what are the outs my opponent have. From other tournament experiences, I skip ingesting sugar, not wanting to add any jitters and keep myself calm. I decide 4 losses will likely be the cutoff point, that means a two loss buffer. Two losses with four more rounds to go, not good. A pretty simple RP game, I get off to a decent start and manage to trash his sundews, while winning a few key PSI games which I’ve had plenty of practice with given the Jinteki play in NYC. Had to access Future Perfect 3 times to win, but in the end no stress. But, here come the Whizzards. Yes, 11 Whizzards and only 10 Criminals at Cambridge. I’ve never played against Whizzard in my life and the game starts off poorly as I get agenda flooded and Whizzard runs my remotes without fear. I lose quickly as I can’t setup an economy nor get rid of my agendas safely. My first (and only) Corp loss of the day. A fellow New Yorker, and a kinslayer. Word was at this point he had swept two NYC Netrunner’s, so I’m in for a ride. This time I’m not agenda flooded against Whizzard but economy is still slow building. I manage to stick a few ICE on my centrals and draw the combo pieces with Jackson, before a hedge fund off the top after an agenda steal allows me to get tags to stick with Midseasons then landing me a kill. Unfortunately, Kate was unable to recover from a fast advance Chronos, taking out more than half of my economy as the ETF economy skyrocketed El-Ad to an easy victory. At this point in time, I have no more buffer. Four losses, and two more rounds to go. I’m pretty confident a single loss will mean missing Top Cut, and although my mind does consider the idea of Top 16 an accomplishment, I get a sports cliché ringing in my head. You play to win the game. My low strength of schedule is no excuse. Win and you’re in, so time to focus on two more rounds. Flip Runner this time and the game is a grind. I manage to land 3 Indexing’s throughout the course of the game, see no agenda’s. Legwork into HQ, no agenda’s there either. I’m decide near the end to just take 4 credits a turn just to speed up the game to ensure I have time for my 2nd game. A quick Maker’s Eye after the 3rd indexing lands me the win. My corp does it’s job in getting a quick win against a Noise who could not keep up with my economic advantage. One scorch hits two I’ve had worse and traffic accident scorch wins the game. Another quick win with Butchershop as Kate desperately digs for Plascrete after Midseason Lands. I see Blue Sun and an early EBC, and thank lady luck. Grinding games against bblum has me way overprepared for this matchup, and with an unprotected face down, I almost play Indexing before remembering EBCs ability to trigger a reshuffle. So instead, I run the face down, Index and Maker’s Eye for the win. Just win baby. I’ve squeaked into Top Cut seeded 7th. The seeding is unimportant to me, all that matters is that I’ve making it into the dance. A quick dinner (once again with no sugar) and it’s onto Double Elimination. Three NYC runners have made it in, and once again I’m lucky enough to be on the opposite side of what I know would be a bad matchup against top seeded Chris. I’m a little in shock that I’ve made Top Cut, and it hasn’t registered to me the matchup I was about to face. James tells me that he’s 4-0 against Kate in Swiss, but I’m just happy to be here. I play safe, valuing econ and keeping tabs on James’s econ. He gets agenda flooded with no econ, and I’m aggressive whenever I’m up on credits. Unfortunately for James the game is very quick, no Jacksons, no Economy and with me running everything he puts down there’s nothing he can do. I thank him for the game and have time to calm myself for the next round, where I may or may not have a decision to make. I win a coin flip and get to pick the matchup. I’m unsure here of what NEH Zach is playing, and again, I have not #SlottheClot. However, my eyes are on the prize. Kate has been my weakest identity through the tournament, with Butchershop only losing 1 game. If I pick Kate, I can force the next two rounds (mostly) to be Butchershop. I think it’s worth the risk, and I go with Kate hoping for good draws. Lady Luck smiled down upon me, my hand included SMC, Dirty Laundry and PPvP. I slap them down Turn 1 and Dirty Laundry into R&D, and begin my relentless aggression. I don’t bother trashing his assets as his economy does not pick up, instead pressuring HQ and R&D with SMC on the board. The game is close, with Zach forced to use an Astro token on Breaking News to ensure it doesn’t get stolen. Down to the wire with Zach scoring 5 points and me with 4, I use up my draws and fire off two multi-access, Legwork pulling a Beale from hand, and then Maker’s Eye click 4. He informs me that he has the score on the table if I miss, and we take a look at the top cards of his deck at the same time. Blank, Score, Game Over. Butchershop ready to roll… or is it? We have two rounds to finish our one round, and that ends up being very fortunate. I’ve done my best to get into good habits, and the habit of counting my cards while pile shuffling saved me from being DQ’d. I count 48 cards out of 49 from my decklist, and realize after looking through the deck that I am missing an Astroscript. UH OH. However, friends come to save the day. Ethan lends me his Astroscript, and the extra sleeves I brought at bblum’s suggestion come in handy to put it back into my deck. For the first time in the tournament I’m confident. My gamble paid off, it was time to close with Butchershop, the late selection Corp which ended up carrying me. This match was relatively uneventful. I have Jackson early and draw hard for economy and pieces, Kate just barely keeps up with me in Economy and smartly leaves an NAPD alone in Archives after access. Pulling an agenda off R&D, I install ICE on a new server to force Kate to draw off Astrolabe, and manage to pull a Sweeps Week, pushing me over the credit mark. I midseasons for all but two credits, and the next turn throw down Traffic Accident Scorch after my opponent does not draw Plascrete. Rematch, Butchershop at the plate. I’ve got two cracks at the win, but I want it here and now. Perhaps pressing a little bit, I decide to midseason early landing only one tag but leaving us both broke. I believe I can recover faster than Kate, even though one PPvP is already on the table. The tag is removed and we reset. I dig hard for pieces and economy, outpacing Kate’s economy just barely before landing a midseasons for all my credits. This time the tags stick as Kate has 4 points and only a pop-up window on R&D. However, Kate is broke installing a Plascrete and decides to click for credits and run for single access on R&D. I draw a traffic accident with two scorches in hand, and I simply click for credits ready for the kill next turn. Single access reveals a blank, and Traffic Accident Double Scorch flatlines the runner through Plascrete. At the end of an exhausting day, I am elated but honestly more than anything, shocked to have won. In the end, I was happy to have found decks which suited my style, which in turn let me have fun and play the game my way. So many great players at the event, and plenty of new friendships made. I had a great time at Regionals and truly found an extra level of appreciation for all who helped me. Thanks for reading my report! Kate Mac McCaffrey: Digital Tinker, Kate McCaffrey, Near-Earth Hub: Broadcast Center, Regional-2015, Tournament Report.